Here are the top 15 sought-after questions on screws answered. Do have a read! 1. What are capture screws? Such types of fasteners feature a clip at their end, so as to prevent them from falling out once they are unscrewed. Each of the two large fasteners, which maintain the action to the stock, features a smaller lock screw, thereby preventing the action screws from getting detached. 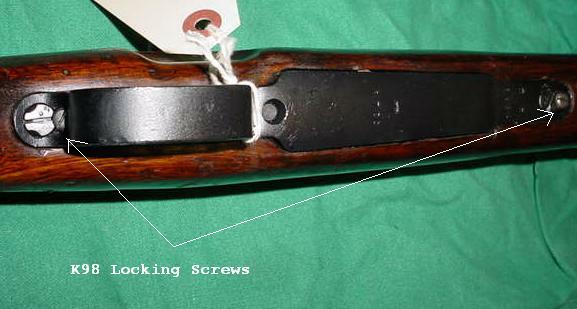 Quite often, you would have noticed the K98s being advertised with a capture screw. Essentially, such kind of rivet holds another screw on the floor plate of a Mauser. By flipping the K98 over, you can see the lag that holds the floor plate has two holes for screws. One goes in first, enabling a cut out recess for another to get inserted, and even ensuring that it doesn’t come out. 2. What are grabber screws? These fasteners were actually launched by Grabber, the world?s largest manufacturer of drywall screws and fasteners mostly designed for interior finishing. 3. Can screws be used instead of nails in wood frame construction? Yes, screws can be used instead of nails, but not in all situations. However, screws have 300 times more holding power and their threads cut deep and deform wood to intact tightly, whereas nails by gripping due to friction becomes loose mostly when wood shrinks and may pop-up its head above surface, thereby creating a call-back in a drywall situation. 4. How to snap off screws? Snap off deck screws, commonly known as counter snap screws, gives you a finishing nail look, while you drill them in place. These kinds of fasteners are quite ideal for those who are quite particular about the look of their finished deck, as they give a more clean appearance on the surface. Step 1 – Mark the Spot – Once you insert a snap off head screw into your deck, you won’t be able to remove it easily so as to change the placement. For this, you need to make sure that you have the areas marked exactly where you are going to place them. Step 2 – Place the Fixture – After marking the spot, you’ll now have to set the fixture directly above the spot. Now place the screw on the top of the fixture and slowly drill the fastener in to place. As the stress builds on the lag from the fixture, the screw will snap off at the countersunk score. Step 3 – Remove the Fixture – Now remove the fixture from the spot, and by doing this, the screw head will fall. Simply toss this out and can now stuff the leftover hole with wood putty if you wish. 5. What are screws made of wood called? Screws made up of wood are known as chipboard screws, which are usually made up of resin and wood dust or even wood chips. Such kind of rivet is also known as particleboard screw and is a self-tapping screw with a thin shaft and coarse threads. 6. How to make it easier to screw in screws? You can start with this: – Keep the bit aligned with the direction, in which the screw is going to be inserted. Many times we see newbies struggling with this particular situation. If the drill/chuck is perked up in context to the axis of the screw then it creates all sorts of trouble. So, you need to firmly push it inward, thereby not letting the bit slips back out of the screw head. Bits are quite exhaustible and they don’t last forever. So choose carefully. 7. What size and thread are the screws used to install outlet receptacles? 8. What screws do you use to hang a cabinet? Well, this won’t make any sense if we mention a particular type of screw suitable to hang a cabinet. Cabinets are available in various types and materials, and there isn’t one size or particular type of screw that works for all of them. It wasn’t that long ago when most of the carpenters were seen opting drywall screws for installing the cabinets. Such fasteners aren’t designed for fastening two wooden surfaces and are not ideal for bassinets with heavy, concentrated loads produced due to dishes and glassware. If someone suggests you to use drywall screws then disregard that advice. Also, consider if you are using recycled cabinets. Using screw holes from the previous installation is also not advisable. By driving a screw into an existing hole you can hit a snapped-off fastener, which would be lurking there, or may even find that the original installation was messy and by using those holes cabinet face frames out of line. So, instead create fresh pilot holes and cover the old ones with tinted wood filler such as Color Putty. 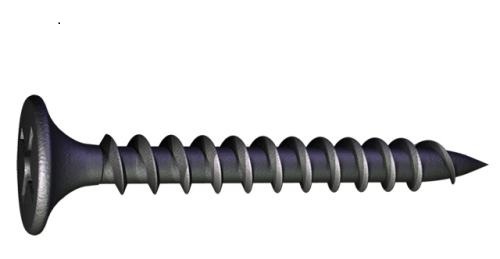 Mutual Screw and Supply for example sells specialized screws, which are appropriate for fastening kitchen cabinets to the wall. These fasteners are available in different names: washer-head cabinet screw, cabinet screw, washer-head screw and button-head screw. Their huge-diameter heads bear down firmly on the cabinet’s hanging rail, thereby ensuring a solid installation. 9. What kind of screws should be used to install plastic baseboard? Stainless steel screws are mostly used to install plastic baseboard. Set the trim against the wall in the desired location and then drill stainless steel screws through the trim into the wood stud, so as to secure the moulding against the wall. Now countersink the screws, while drilling a bit below the trim and hide the screw heads by filling them using a putty knife and paintable caulk or filler. 10. What type of screws should I use for plastic? Self-tapping screws are recommended for plastic. These are the most commonly used fasteners for binding all sorts of objects. They form a thread while getting inserted, thereby eliminating the requirement of a separate tapping operation. These are available in two types; thread-cutting and thread forming. Plastic materials, whose flex modulus’ value is above 7000 MPa are usually brittle and tend to crumble between the threads, thereby causing the fastener to pull out at lower than predicted force values. For these materials, we recommend you to go for finer threads of the Type T screw. 11. What size screws to wall mount 70 inch TV? The bolts you will need are as follows: M8-1.25 X 20. 20 is the length that I used and it works well. You could also use 25 if you would like. Screw size will always be listed in the owner/operation manual. Too long of a screw can damage the TV. 12. What type of threads do bleeder screws have? Just for future searchers. After making a deep research and practically measuring them here is what we have come up with. Not sure what the cut-off date but during 2002, WRX’s used to have M7 x 1.0 tread bleeders. Some later models started featuring both M10 x 1.0 and M7 x 1.0. You’ll need a 10 mm wrench for M10 x 1.0 type. 13. What type of screws is used in a emx prx-320? 14. What type of screws for lead flashing? Flush Head socket type set screws is used for lead flashing. 15. Set screws are commonly used in? A set screw is a type of hardware, specially designed to fasten one object within another. This particular rivet prevents relative movement between the two binding objects, thereby enabling each one to function as intended. It is usually made up of brass or stainless steel, and is fashioned to pass through the outer object and rest against the inner object without actually passing through. In UK, this particular fastening device is known as ‘Grub screw’. It is usually fastened by using an internal mechanism rather than a traditional external head. The top of this screw may be slotted for use with a screwdriver, or may even feature a hexagonal shape. While slotted screws are easy to use and do not require any special tools, the hexagonal set screws are subject to higher torque for a tighter connection and requires the use of special tool such as Allen wrenches. A set screw is used in a variety of applications. One of the most commonly used applications is in doorknobs or lever locks. The handle or knob is fastened to the door and covered with a separate plate, which is known as a “rose.” A set screw is placed through this plate to prevent it from spinning around the handle or knob mechanism. These screws are also used in various industrial and mechanical devices, especially rotating items such as pulleys or wheels.